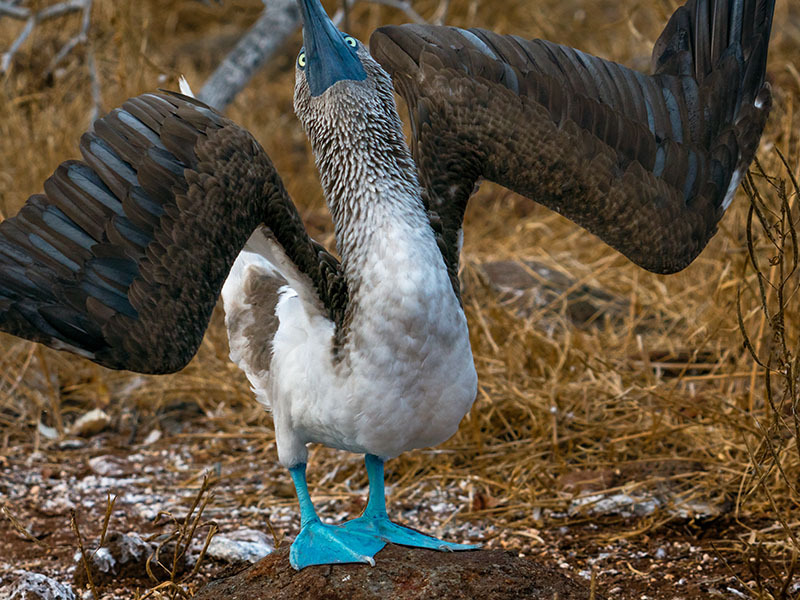 The blue-footed booby is one of the more well-known species of birds in the Galapagos Islands. This booby is looking skyward and has apparently spotted a female, so he begins to strut and dance. 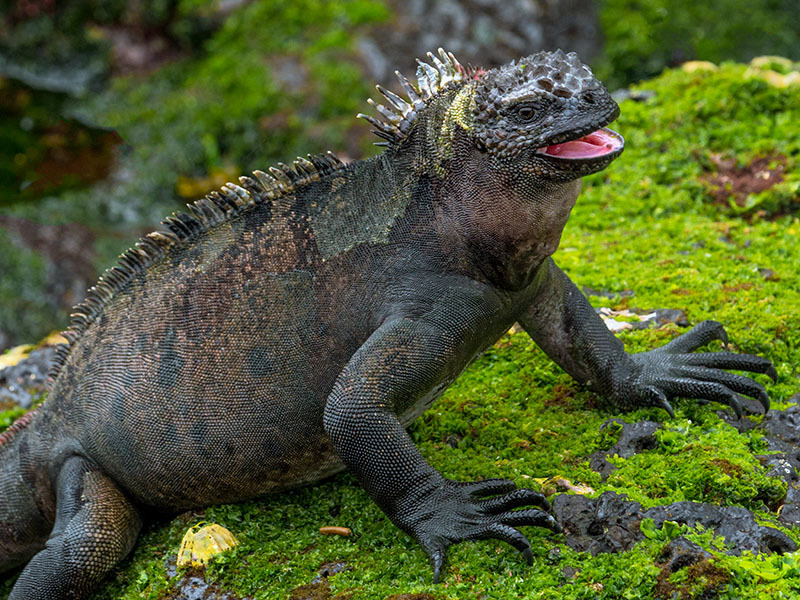 This Galapagos marine iguana is likely a female. She is happily feeding on the green algae which gets exposed during low tide. 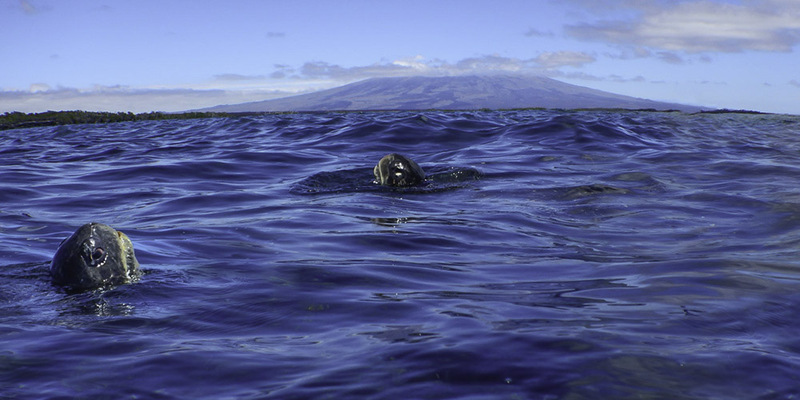 Larger male iguanas, with their bigger body mass, are better adapted to diving deep into the cold waters when searching for food. This iguana is relatively brightly colored since she is wet and not yet dried out from basking in the sun.